When will Apple release macOS 10.13 High Sierra? 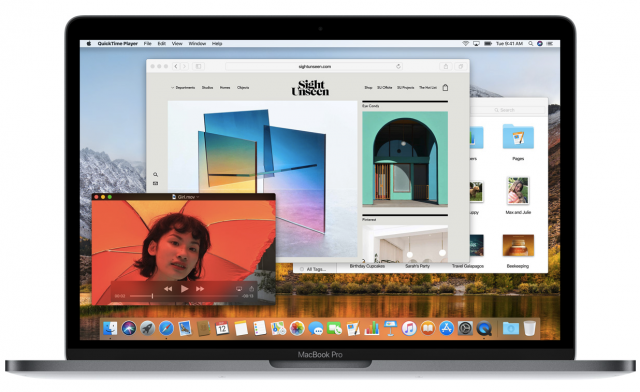 Apple previewed macOS 10.13 High Sierra at WWDC 2017 in June, but it will not officially release the latest version of the Mac operating system until this fall. But, when exactly is it coming? Apple has updated the macOS 10.13 High Sierra landing page on its website to announce that it will be released on September 25, just two weeks from now. That's only a few days after iOS 11, which lands on September 19. But, going back to macOS 10.13 High Sierra, let's talk about the biggest changes that users can expect to see. The headliner is the new Apple File System (APFS), which is better optimized for modern storage, like SSDs. It promises faster transfer speeds, lower latency and better encryption support, as the main features. Users will be migrated automatically to APFS. The new file system made its debut in iOS 10 this year. There is also VR support, improved Safari, which now features better privacy, Photos, Mail and so on. The graphics also receive some attention, with Metal 2 being added into the mix. To read more about the changes in macOS 10.13 High Sierra, click here for the full story. MacOS 10.13 High Sierra will be offered through the App Store as a free download to Mac users. The list includes all MacBook Pros released after 2010, MacBooks released after late-2009, MacBook Airs released after 2010, iMacs released after late-2009, Mac minis released after 2010 and Mac Pros released after 2010.